Most commercial or private Senior Living sites don’t like to indicate whether an assisted living facility will accept or work with Medicaid. The simple reason is that Medicaid residents aren’t quite as profitable as private pay residents. 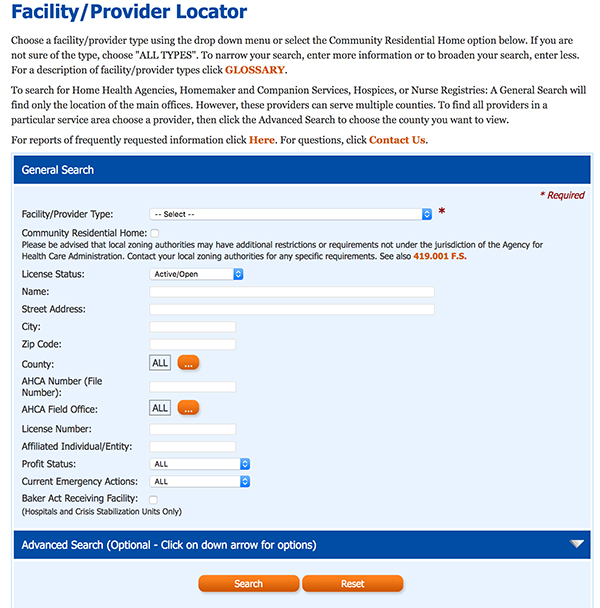 So, finding facilities that accept Medicaid or Medicaid-related programs can be a challenge. 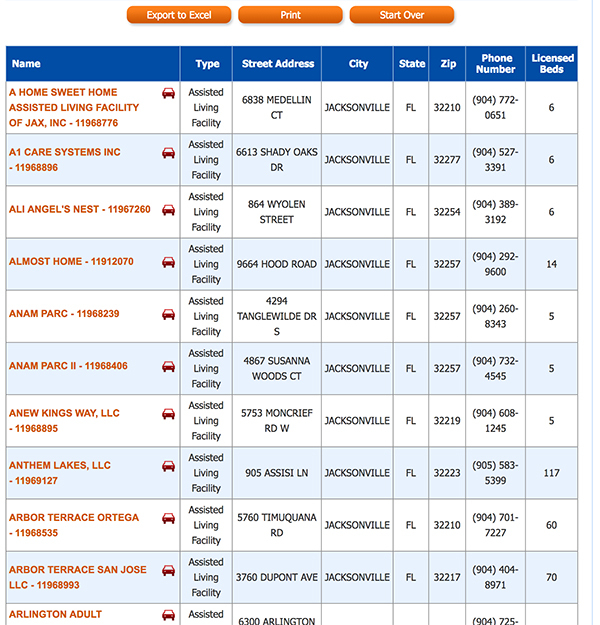 There is a very easy, and very trustworthy way that you can learn about ALL assisted living facilities in Jacksonville, Florida, including identifying those that work with Medicaid, Medicaid Waiver programs, Long-Term Care insurance, VA assistance, and more. 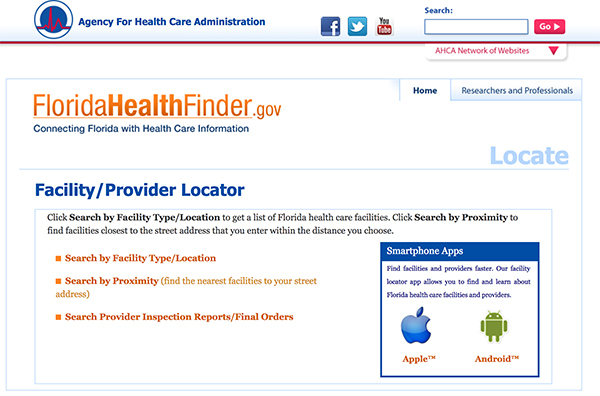 You’ll need to stop over at the Florida Health Finder website. 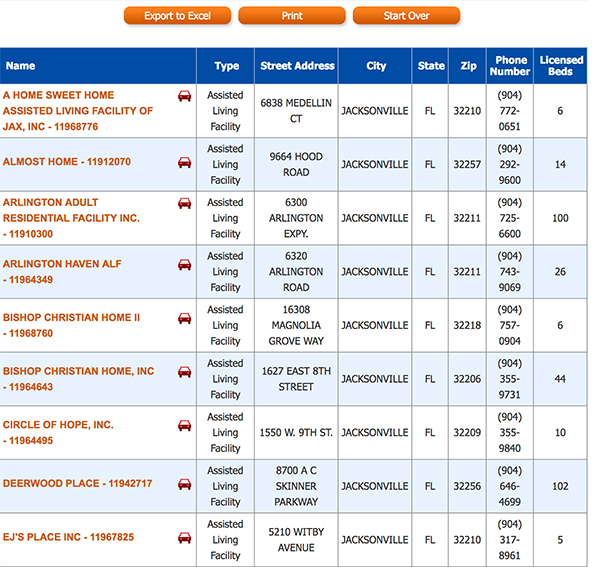 You can also visit our Florida Assisted Living Research Guide. Here is the pro-tip for your research. 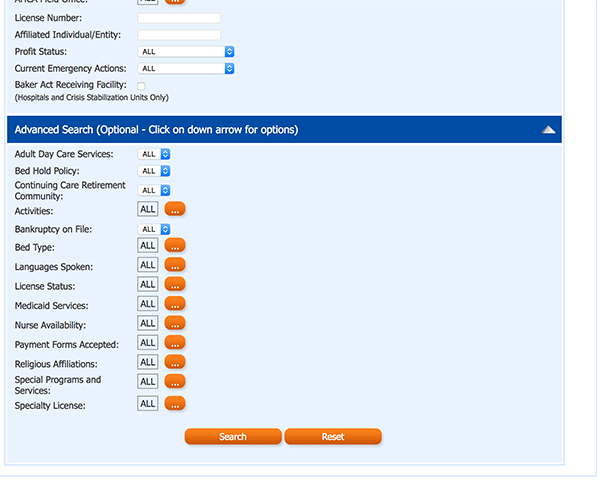 If you back up to the original search page, with Assisted Living Facility selected, and Jacksonville as your city, then go down and select the arrow for ‘Advanced Options’ – a step that many users overlook – you’ll then be able to further filter your results to exactly what you want. 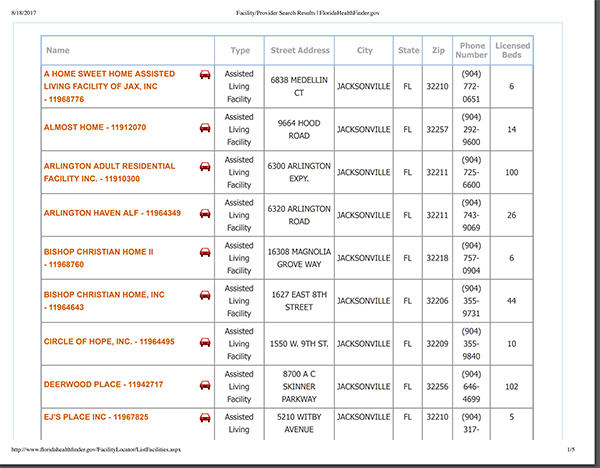 When I filtered my search for Medicaid Facilities in Jacksonville, I came up with about 37 results (at this time). You’ll notice, at the top, it gives you the two options of either Exporting the list to Excel, or Printing the list. 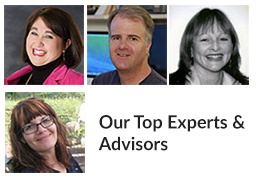 I’ve saved you time by creating the list and making it into a .pdf document. You can download it or print it directly using the link above. Remember, this list is provided through official State of Florida data and resources, and in turn should be regarded as very accurate and trusted.